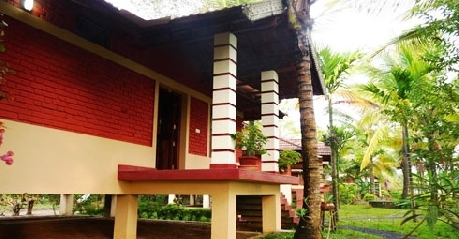 Wayanad Nature Resort makes for a perfect accommodation option for travelers who are looking for peaceful and serene stay. Those of you who want to experience the nature at its best and in the purest form can stay here. 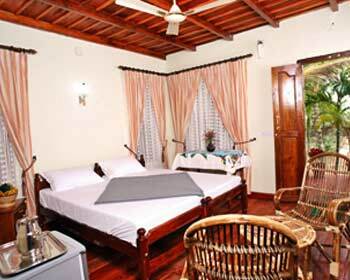 It is nestled on a small Island paving way for a comfortable stay. It appears like a green oasis in the mid of a vast lush green paddy field. The resort is surrounded by a dazzling stream on three sides. The entire ambiance and environment of the resort renders an experience you will cherish for a long time. 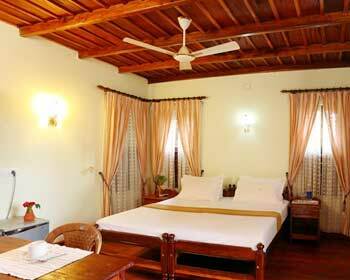 You will be on an all together different experience when staying at Wayanad. What sets resort apart from others is the excellent service that one gets to enjoy staying here. 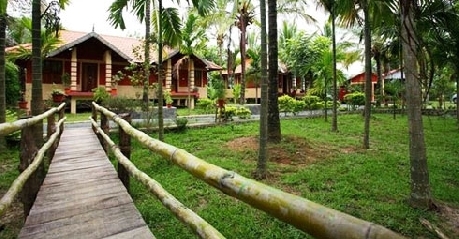 The resort is known to offer warm and friendly hospitality which enhances the staying experience of the guests. 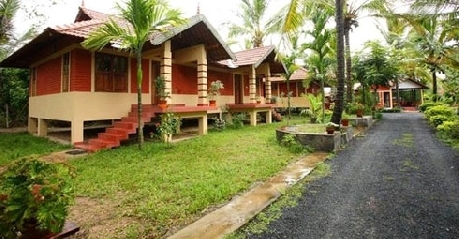 Standard rooms that the resort offers are designed for those travelers who are having shoe string budget. Each of these rooms is well-designed keeping in mind the needs of travelers who are looking for hassle free stay at reasonable rates. When staying here, guests will be able to enjoy most of the facilities that add to the comfy stay. There are plenty of facilities that one can get to enjoy when staying here. Some of these facilities include access to the high speed internet, doctor on call, laundry service, tea or coffee maker, television with cable channel and in room safe. Staying at Deluxe Rooms means you can enjoy some of the greatest moments. These rooms are the epitome of comfort as well as luxury so that you can have access to an accommodation option like never before. Comfort and cozy stay is synonymous to these rooms. There are so many facilities that come along with these rooms. Some of the most common as well as basic amenities that one might get to enjoy staying here are access to the high speed internet, running cold and hot water supply, coffee or tea maker, in room safe, laundry service, doctor on call and television with cable channel. 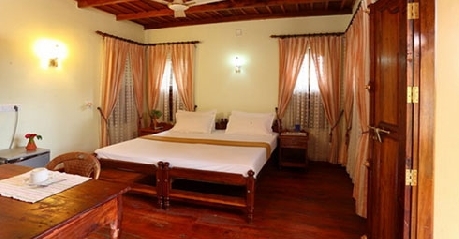 Epitome of luxury as well as comfort is Super Deluxe Rooms. These rooms are meant for discerning travelers who are looking for a comfortable stay. 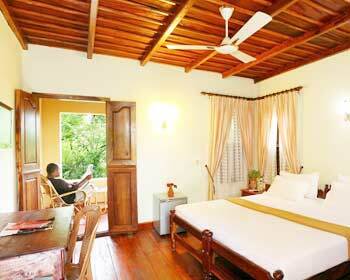 Each of these rooms is well-equipped with facilities that can make one’s stay a memorable one. There are several facilities that one can get to enjoy when staying here. These rooms are cocoon of extreme comfort that can make your stay an unforgettable experience. Running hot and cold water supply, access to high speed internet, coffee or tea maker, doctor on call, laundry service and television with cable channel are a few facilities that you can get to enjoy staying here. 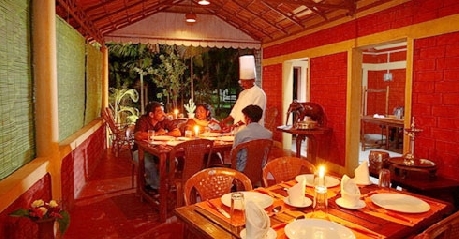 The resort offers a multi cuisine restaurant where guests can dig into some of the most delicious food round the clock. Starting from Indian, Chinese, and Continental to Oriental, here you are served with an exotic range of delicacies to satiate your tangling buds. The entire ambiance and décor of the restaurant lets you have gala time. You will get a feeling of being home away from home when dining here.